This week the tamariki have been helping put up and decorate our Christmas tree. The tamariki have even made their very own, unique decorations which we love. Skylahs’ Christmas bird takes pride of place at the top of our tree, no traditional stars or fairies here…we think outside the square! 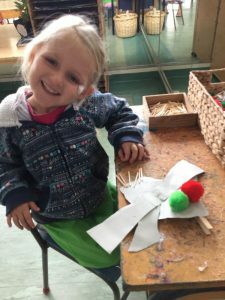 At Central kids Te Akoranga we provide the resources and support so that our tamariki can be creative and expressive in their own individual ways. Our tree is getting full of these gorgeous creations and they are all unique and very special. We are looking forward to celebrating our year with our Central Kids Te Akoranga whānau by enjoying a delicious hāngī together next week. Merry Christmas and a happy new year to you all.